Reflection for the Week: How can I be a courageous partner in God’s creative goodness? Whenever I read a scripture passage, no matter how long or how short, there is always a word or phrase that sticks with me or grabs me. In this text from Philippians, it is the phrase, “. 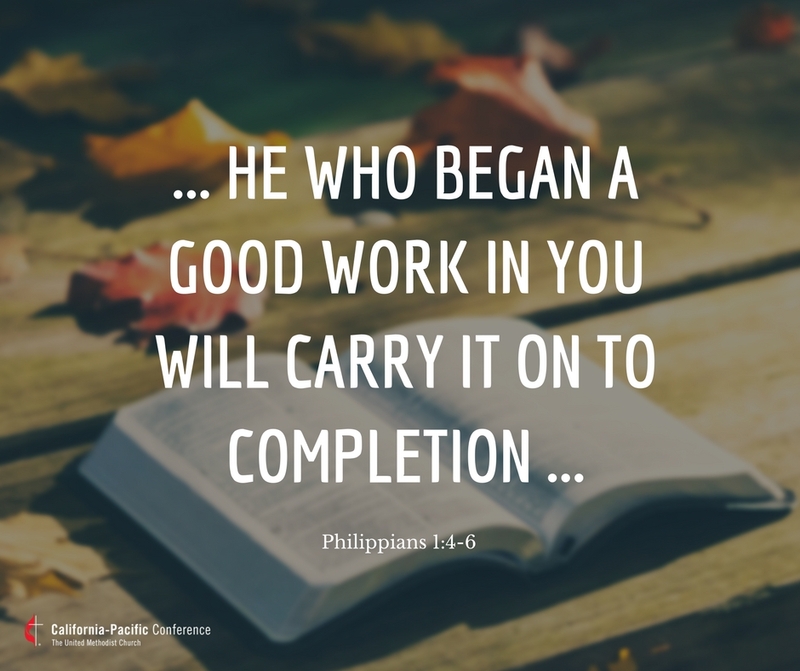 . . he who began a good work in you will carry it on to completion . . .” I love the possibilities embodied in this simple phrase. It has life and energy and defines our lives as open ended and connected with one who is both good and creative. The most mysteriously exciting part is the beginning of the phrase that reminds me that I did not create myself. I didn’t decide to be a male. I didn’t decide to look as I do, or to be born where I was born. I didn’t pick my gifts from a pull down menu, and add them to my shopping cart. My life is a gift. I was created. I am the work begun by someone else and this text promises the work begun in me is good. The other thing that gets me going is when I realize the good work of creating me was only a beginning. Next comes the partnership of participating in this good work. I have the privilege of partnering with my maker to be the best of who I am and where I am with what I have. Finally, there is no limit. There is no ceiling to how much I can learn or how much I can grow or how much I can do. I can add to this good work of my life every moment of my life until my final moment in this life. Oh, it will all come to a final completion one day, but that is the day of Christ Jesus — an indefinable day in the future. That day is not up to me. Today is. And I am going to make it a good one. Prayer: Good and loving God, May I be a worthy partner in your creative goodness. Amen.